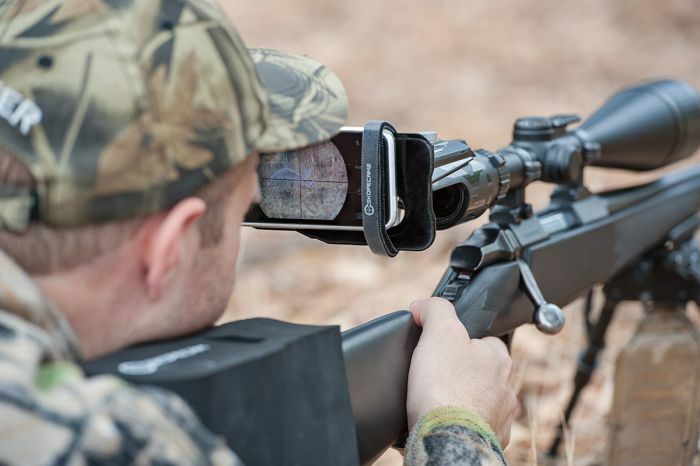 Skopecam is a mount that attaches your mobile cell phone to your rifle scope. 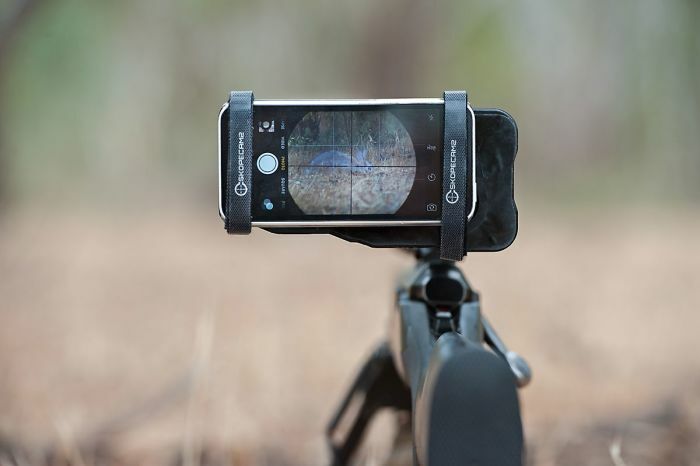 This allows you to record or photograph your favorite shots and some memorable hunts while in the field. You can also use Skopecam while sighting in to record your rifles performance while on the bench. How it works: It simply clamps onto your scope (without damaging the scope), and then you stick your phone onto the sticky pad in line with the scope lens. A few adjustments to get the right spot and it's ready to go. The pack includes extra velcro straps to securely fasten your phone if you desire to do so. 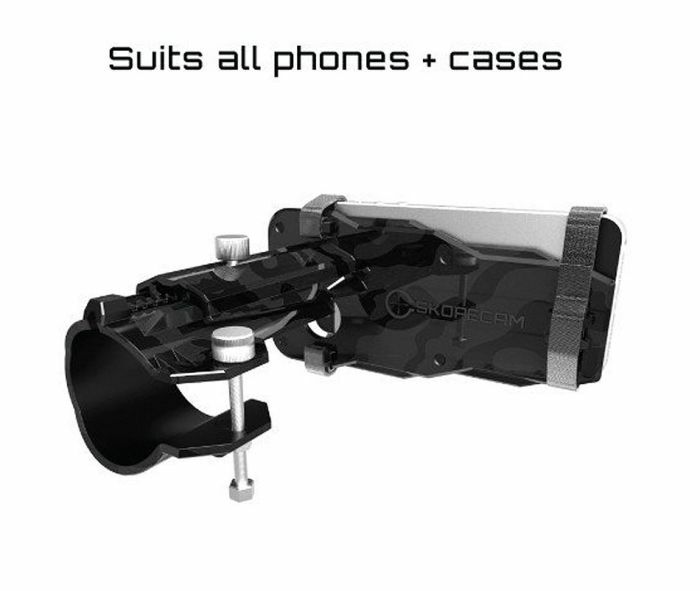 Also included is a foam spacer for your shoulder, to adjust your eye relief from the screen while maintaining a comfortable position on your rifle. The foam can be modified and shaped to your own requirements.